For me Shakespeare's tragedies work much better than comedies. He has this sixth sense as to how to make them pathetic and believable, dramatic and realistic at the same time. And no 16-century weird humour, thank you! Julius Caesar tells about - guess, what? Correct, about the assassination of Julius Caesar. 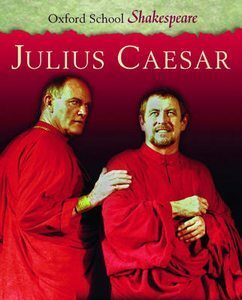 But it's a mistake to think the guy is the main character in the play - the centre of everything is rather Brutus, who is struggling between his love to Caesar and his duty as a citizen. The most interesting part of the plot is all the polemics about the necessity and reasons to kill Caesar. On the one hand, he is a great and very estimated man, but on the other hand he is on the verge of being asked to become an emperor, and this no free citizen can abide. I also really loved how Brutus and Antony in turns bring the mob to their side, people changing their opinions cardinally in a matter of 5 minutes just because of some words they hear. The power of rhetoric! Brutus is a very well-developed character: principled, valiant and thoughtful. His is a really tragic figure, as he knows all the consequences of his deed, but he still does it because of his beliefs and in spite of personal feelings. Another favourite of mine is Portia, Brutus's wife, who will not be treated as merely a wife and a woman, but rather as an advisor and friend. Her idea of a marriage is sharing not only a bed and a table, but also thoughts, anxieties and plans. Rather modern! "Cowards die many times before their deaths;"
"I have a man's mind, but a woman's might." "The ides of March are come. Ay, Caesar; but not gone." "What touches us ourself shall be last served." "Not that I loved Caesar less, but that I loved Rome more. <...> As Caesar loved me, I weep for him; as he was fortunate, I rejoice at it; as he was valiant, I honour him: but, as he was ambitious, I slew him." The good is oft interred with their bones;"
It useth an enforced ceremony." A beautiful tragedy with a lot of controversial moral loading. Great characters, great dialogues! One of the Shakespeare's best plays! I read this one in 10th grade and absolutely adored it. It's one I definitely would like to re-read. I generally prefer his tragedies as well. I am so afraid of plays! No idea why - I haven't read so many of them... Can only recall Hamlet now, and that was back in the day... The quotes you have written out actually sound/seem really nice, so maybe it's time for me to try a play again, too. Ah, it's no need to be afraid! 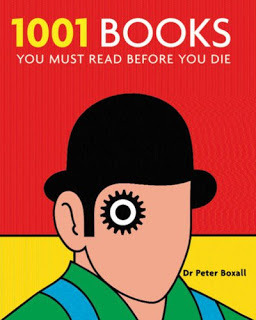 Actually usually they are very easy reads, no more than 100 pages, all verse. Of course Shakespeare has some crazy words and grammar in his plays, but if you pick up a No Fear Shakespeare edition, for example, you have modern language along with the original text to help you with the difficulties! It is awesome! *bookmarks* Yes, as a non-native English speaker I tend to have problems with such texts as well. Thanks! I read this play for the first time a couple of years ago, and loved it. I'd always avoided the histories, thinking they are too dry, but this was far from dry. Exciting and moving. I found the wives to be an interesting contrast--Portia calm and wise, and Caesar's wife with her nervous nature and portentous dreams. Neither husband heeded his wife's advice, did he? Yep, I prefer Shakespeare's tragedy too. Julius Caesar is the first tragedy I've ever read from Shakespeare, and until now is still my favorite. Marc Antony's speech is great (that power of convincing people! ), and Caesar's murder scene is memorable. Oh, yes, Marc Antony can really charm with his words! He handled the people very carefully and exactly, something all the leaders should know how to do!